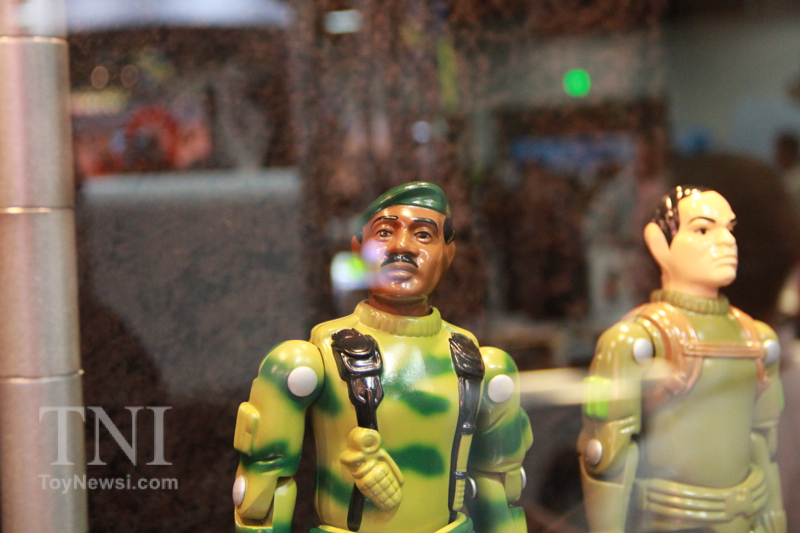 The Kickstarter for Collecting the Art of G.I. Joe is now LIVE! If you’ve been to 3DJoes.com any time recently you might have already seen the hardcover edition of this book listed. It’s an incredible coffee table volume that spotlights the amazing package art from the 1982 – 1983 releases from the classic G.I. Joe: A Real American Hero line. The hardcover volume collects newly digitally restored artwork in an incredible 8″ x 11″ volume that shows just what made the classic packaging so attractive. The only downside of this volume was that it carried a hefty price tag of $205. Enter the Collecting the Art of G.I. Joe Kickstarter! A pledge of $45.00 (plus shipping) will secure your very own paperback copy of Collecting the Art of G.I. Joe vol 1! With a modest funding goal of $6,000.00 this project will make paperback copies of the book available to more fiscally-conscious fans everywhere! Gentle Giant Ltd, a company known for their realistic scanning technology and upscaling of classic vintage figures, surprised G.I. 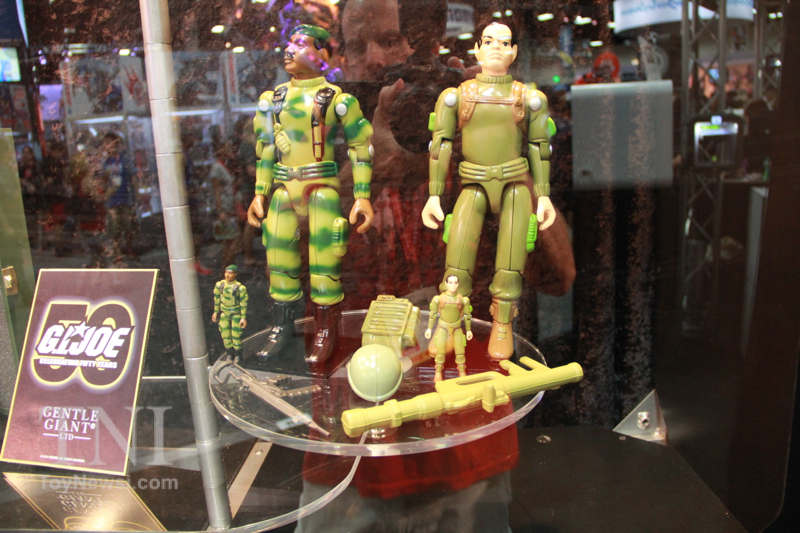 Joe fans everywhere with a new line of up-scaled 1:18 Joes based on the original 1982 Joes. That’s right– Gentle Giant G.I. 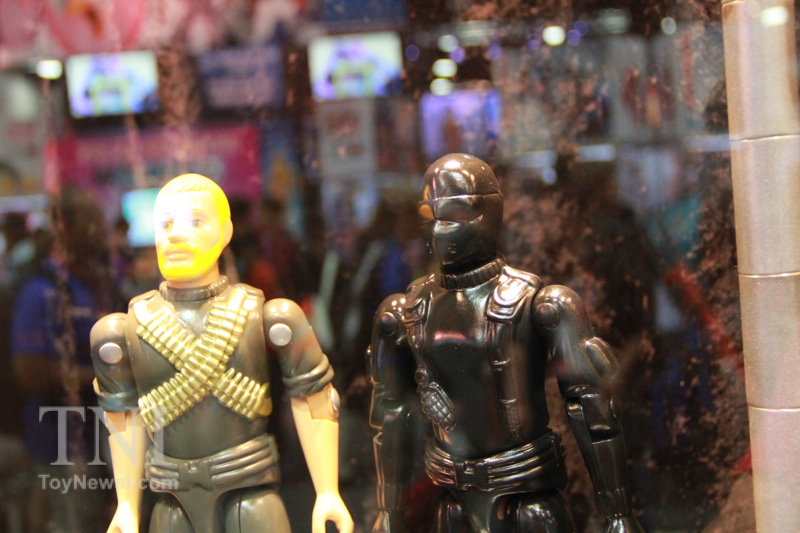 Joe figures are coming! 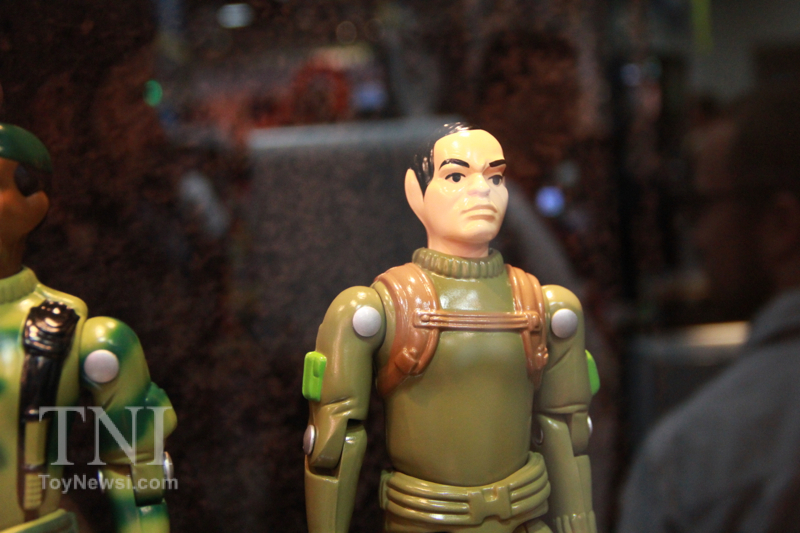 According to the intrepid reporters over at ToyNewsI.com, the line debuts this Holiday season with the release of the 12″ Grunt in a special footlocker package. Subsequent releases will continue in 2015 and will be available on “authentic” G.I. Joe cardbacks. Honestly, I don’t know how I feel about Gentle Giant G.I. 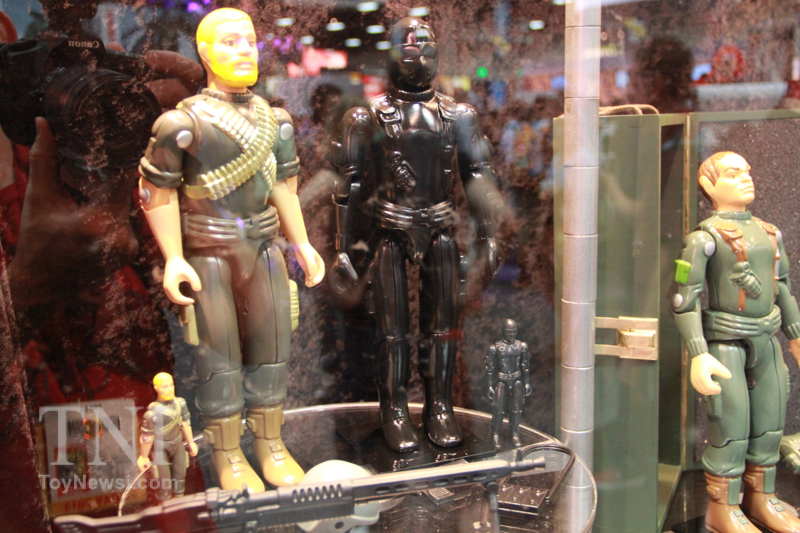 Joe figures– especially up-sized version of the o-ring figures. 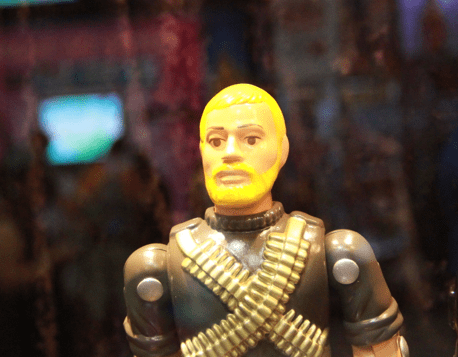 After all, it’s the 50th Anniversary of the original 1964 Joes– not the 1982 figures. While I’m sure that there is a market for these and that the initial offerings will no doubt sell decently, I have the feeling that this will only appeal to a very small segment of an already fragmented fandom and will most likely end before more of the later fan-favorite characters can be produced. I’d love to be wrong about this but my gut, uh, o-ring tells me otherwise. 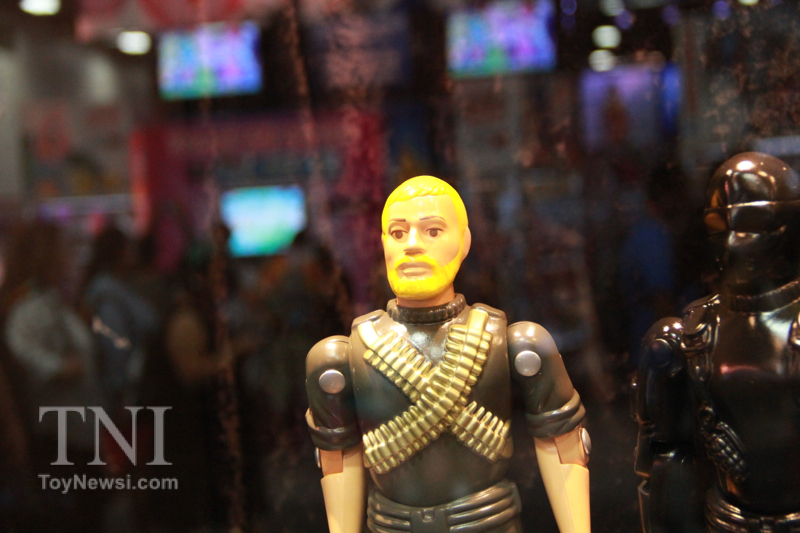 You can view the original article, as well as a ton of great SDCC coverage, over at ToyNewsI.com!